Since the Isle of Man TT races, Honda has positioned its racing activities in a wide variety of races as its “laboratory on wheels,” and has incorporated the feedback from the wide-ranging technologies developed for competition in these races into its commercially available production models, relying on these technologies as a way to help maintain and evolve the excellent performance and reliability of Honda motorcycles. 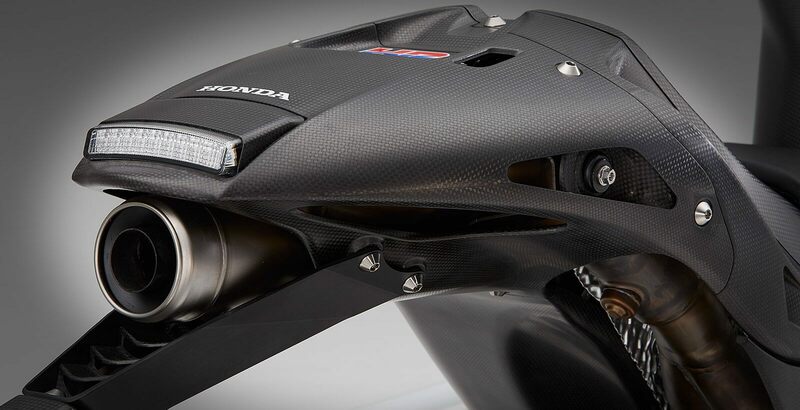 The new RC213V-S is not merely the result of a feedback of technologies created by Honda through its competition in races into a commercially available model, but rather represents a wholly new endeavor to make it possible for a machine developed for competition in MotoGP races to run on public roads. To win in the world championship races, it is necessary to enter a machine that runs the fastest in the world, but in Honda’s view, the rider needs to maneuver the machine well, and so Honda sees ease of use as the means necessary for winning races. In other words, Honda has a principle that the fastest machine in the world is also the machine that is the easiest to maneuver in the world. Ever since competing in the Isle of Man TT races, Honda has consistently developed machines exclusively for racing toward the goal of creating the world’s easiest machine to maneuver based on this Honda principle, racking up victory after victory in races along the way. The RC213V-S has been developed according to this Honda principle, making it possible for the RC213V, which has won MotoGP championships for two seasons in a row in 2013 and 2014, to run on public roads. The RC213V-S has inherited the specifications of the RC213V to thoroughly ensure mass concentration and reduced friction, as well as all key aspects in manufacturing that set the RC213V apart as a MotoGP machine from ordinary mass production models, with overwhelming differences which involve light weight and precise machining of the components, plus superior expert skills required in manufacturing. In addition, the RC213V-S is equipped with control technologies used on the RC213V. The RC213V consists only of the necessary parts for winning races, based on the idea of changing specifications as necessary according to the rider and course. To achieve the specifications that make the RC213V-S eligible to run on public roads, the minimal amount of necessary changes and additions has been made compared to the RC213V. It’s been a long time since it’s been possible to mass-produce a road bike with more than enough performance, but we believe the key to the next step of evolution is the GP machine. Honda Motorcycles is constantly pursuing the challenge of making customers happy through technology. RC213V-S is our expression of this determination. In developing RC213V’s powertrain, our aim was to create a motorcycle engine with MotoGP winning potential. 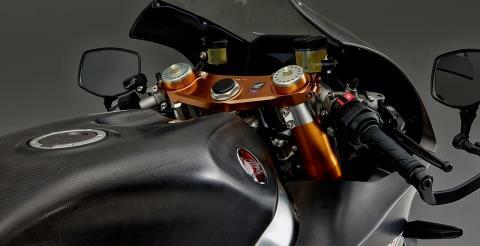 To meet these goals as well as MotoGP regulations, we adopted a 1,000cc, 90° V4 engine. High power output is achieved using a 360° crank phase angle, improving charging efficiency via favorable exhaust pulsing from the cylinders’ firing timing. The 90° V4 layout also maximizes output through reduced friction – it reduces mechanical losses by omitting the harmonic balancer, has a smaller number of crank journals (3) compared to an inline four cylinder engine, and has a sealed crankcase design to reduce pumping losses. For compactness, the V4 layout enables a shorter crankshaft and therefore shorter engine, while we also worked on ensuring banking angles and reducing the bike’s projected frontal area. The engine’s V angle of 90° theoretically eliminates any primary vibration, negating the need for a harmonic balancer and allowing further reductions in engine length. In addition, the crankshaft, main shaft and counter shaft are arranged in a triangular formation, shortening the engine again. These modifications allow a 1000cc engine to fit within the dimensions of the 800cc unit fitted to RC212V. This design also keeps secondary vibrations low, meaning no special attention needed to specifically reduce them. This concerted weight reduction effort contributes greatly to the packaging goal of maximum performance via thorough mass centralization, while also making use of uneven cylinder firing to improve traction performance. The RC213V-S engine features all of the above specifications, but with modified RPM for output characteristics better suited to public roads. 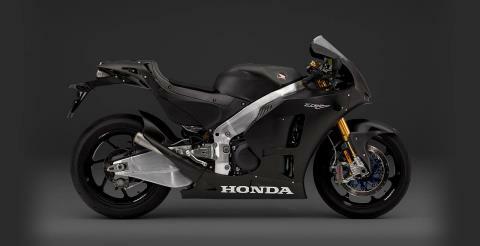 It also uses a gear-based timing system for superior valve actuation accuracy at high RPM – just as with RC213V. However, the valve closing mechanism was changed to a coil spring system for more realistic durability and easier maintenance in day-to-day running. Similar concerns see the seamless transmission used in RC213V replaced with a conventional gearbox. RC213V’s aluminum frame boasts high torsional rigidity, ensuring engine power gets to the ground properly. Increasing torsional rigidity usually means a jump in weight, but with RC213V, torsional rigidity is only increased in the areas where it’s really needed. Thin reinforcing plates improve rigidity in other areas where it’s lacking, resulting in a lightweight frame. Each and every frame component is ultimately aligned carefully by hand, with a dedicated welder performing the necessary TIG welding. The result is a process that, while requiring a large number of welds, ensures high accuracy and welding quality. RC213V-S adopts these same materials and manufacturing processes. Its body is fastened together using bolts machined from titanium alloy, further reducing weight. The bolts themselves are coated in molybdenum grease for improved axial stabilization, and are hand tightened without using an impact wrench to torque specifications different from those used for steel bolts. A completed RC213V’s packaging is centered around thorough mass centralization that aims to take performance to the limit. Not only with race bikes but in any Supersport class, the reduction of inertia figures, that is, increasing mass centralization, greatly influences the dynamics of a completed bike. A bike’s inertia figures are mostly influenced by its weight and category, but there are two ways to reduce them: lower the weight of components located far from the bike’s center of gravity, or relocate them to be closer. RC213V-S’s packaging mirrors that of RC213V. This includes body component materials and production processes. While we needed to equip RC213V-S with a bigger battery and other electronics to meet road laws and improve practicality, these components were located as close to the bike’s center of gravity as possible, reducing inertia and improving dynamics. The dedicated sports kit available for closed circuit racing does even better, matching RC213V’s inertia values altogether.